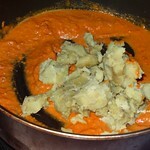 Sweet Potato - 1 medium (when cooked and smashed 1 cup) If you don't like sweet potato add normal potato. Heat the pan add grinded paste fry for a min. 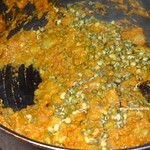 Add mashed sweet potato / potato and sprouts. Mix well. 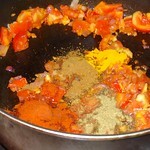 Add about 1/4 cup of water..Check salt and add if required. 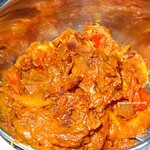 Let it cook for 3 mins. Stir in between. 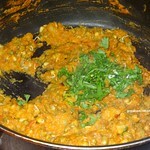 Add coriander leaves mix well. Switch it off. 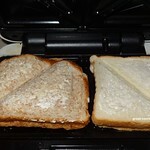 Now we are ready to make sandwich. 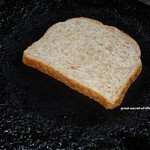 You can make sandwich with sandwich maker or flat pan. Below pic shows both. 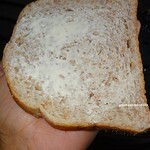 Apply butter one side only on a bread. 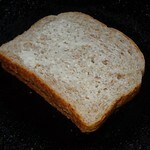 Put that bread on pan or sandwich maker with butter side touching the pan or sandwich maker. 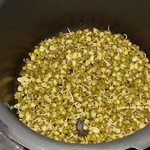 Take a 1 and 1/2 tablespoon of Sprout gravy and spread on the bread. 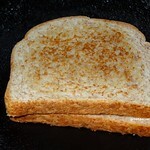 If you are using bread toaster close it with another buttered bread. 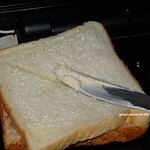 This time buttered side should be on top. 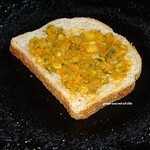 If you are using tawa remove the bread when it is toasted now toast another bread and place it on previously done one. yummy and healthy snack, wish my kids can eat all this. 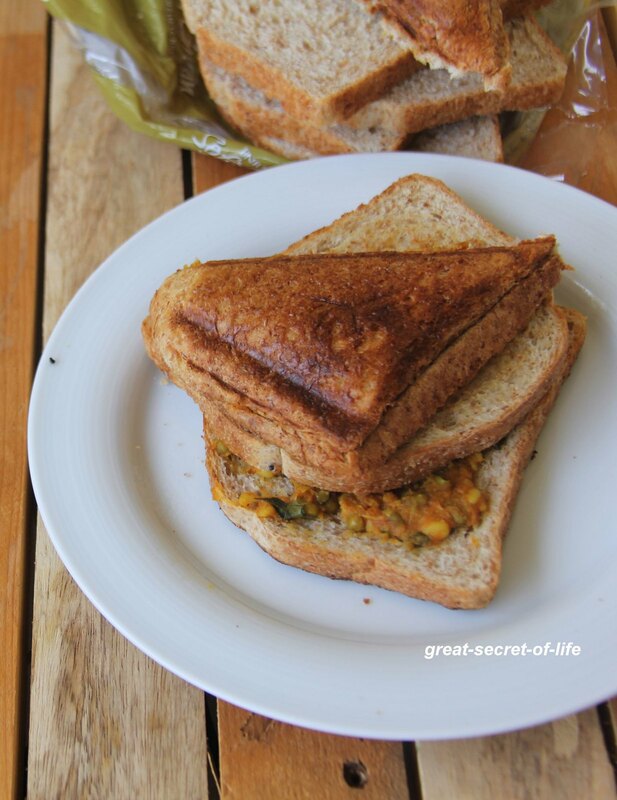 wow very healthy and yummy sandwich :) love the masala filling a lot in sandwiches , tempting me !! perfect snack for kids !! 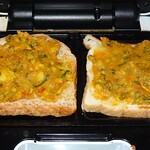 very healthy, filling bread sandwich and liked the addition of sprouts. 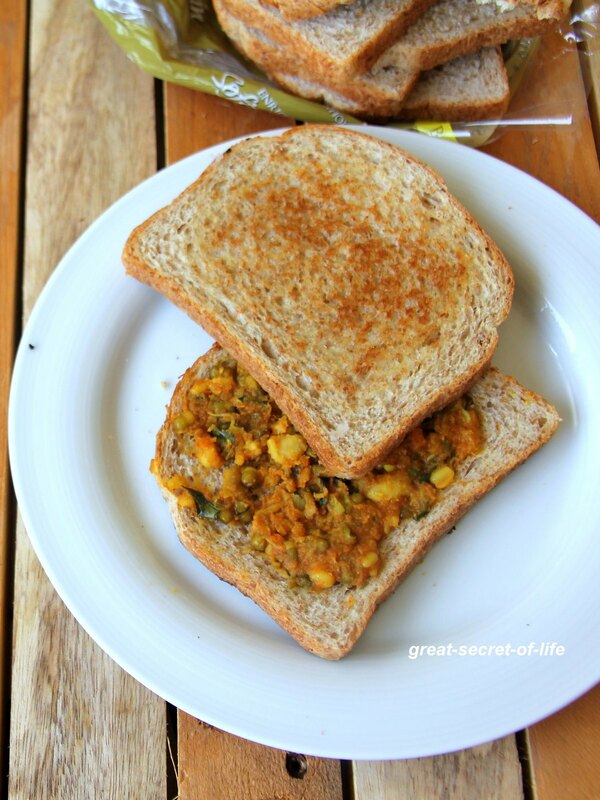 sounds yummy and healthy sandwich ...definitely kids will love this !! 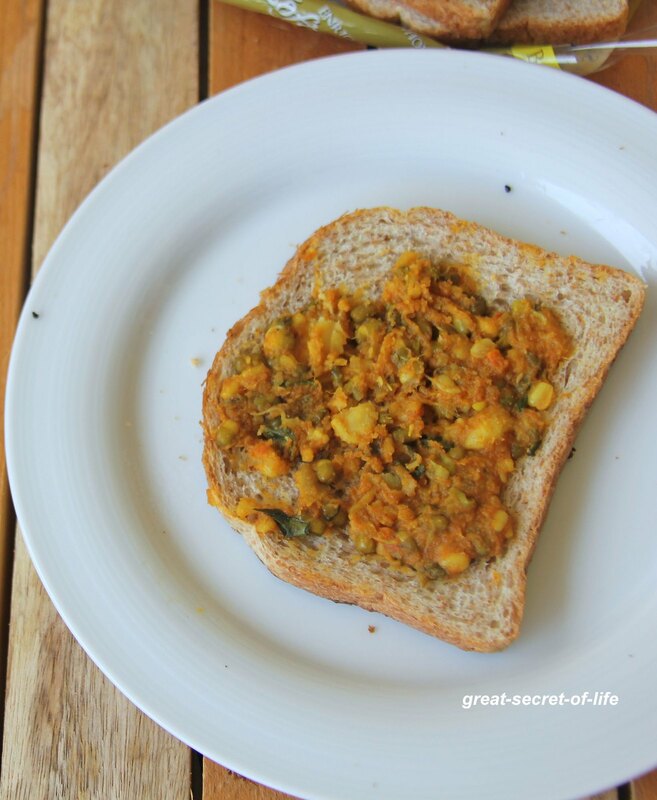 that one healthy breakfast .....My girl loves sandwich as well ..can try it sometime .. I too have a sandwich post today but this one looks awesome with sprouts. 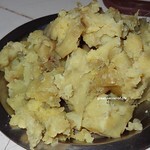 Very tempting clicks ........... Looks so yummy! 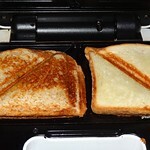 I would love this for the lunch! Looks delicious and healthy!